It is often said that truth is stranger than fiction and perhaps it is, but if we were weighing the weirdness factor of settings in Doctor Who, none would be stranger than the Land of Fiction, first introduced in the classic Patrick Troughton episode The Mind Robber in the television series sixth season. The Big Finish audio Legend of the Cybermen returns the Sixth Doctor and Jamie to the strange realm where they not only get reunited with an old friend in Zoe Harriet but also an old enemy in the Cybermen, who ended up in the Land of Fiction and are converting fictional characters to further the Cyber race. There is nothing like a Doctor Who story idea that can really get your fan boy juices flowing and this one does do that in abundance, with two of the most beloved companions back in action, the already mentioned great setting from a classic serial and the most iconic monsters ever to scare children witless next to the Daleks. 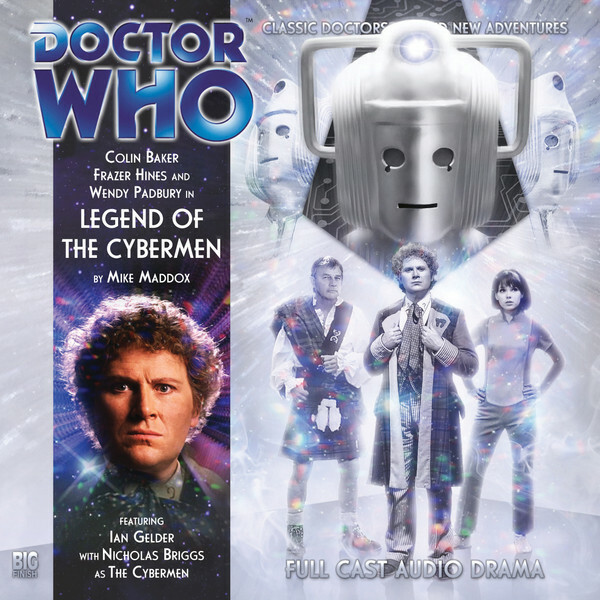 This can also lead to failure if not done in the proper way and in this aspect Legend of the Cybermen has a tendency to fall short of its back cover blurb. Cybermen are in the title of the play itself and yet at times they seem to almost be in the background compared to the related matters that play out between the Doctor, Jamie and Zoe and this is a good thing as the interaction between the three is the strongest part of the plot, but it makes the metal giants a mere afterthought and in turn makes them a weak link in a decent audio play. I don't feel there was a need to spice this one up with another selling point, this TARDIS crew and its return to the Land of Fiction should have been enough for any good Doctor Who fan to lay down his money and give this one a listen. Supporting casts can make or break a story and here it certainly beats on the glass although thankfully it never manages to fully smash through it, as the play has some really odd ones such as Count Dracula from the Bram Stoker's novel of the same name. The performance is hammy and awful and made me imagine some fool in a cheap Halloween costume complete with plastic fangs and cape. He is the worst of the bunch to be sure, but I feel that more viable extras could have been found with all of the fiction to pull from. This point does not ruin the audio experience to be sure but does take it down a notch from where it could have gone. 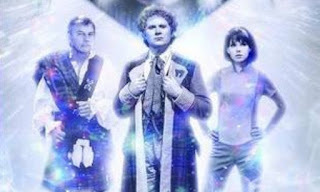 Awash in this white void there is a very good tale about the Doctor's relationship with Jamie and Zoe and about how it felt to be left behind and never looked for again after the experiences the trio had at the end of the televised adventure The War Games. This is only strengthened by the excellent performance Wendy Padbury gives as Zoe Harriot, her voice still fitting the companion she played on TV so long ago so well that you wonder if she really had been stored away in some place outside space and time, only to be released to record this play. All three actors act out these interactions so nicely that the rest of the play's flaws are swept under the rug every time they have a big scene together. 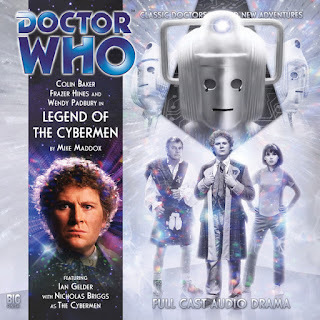 With all it has going for it in terms of potential and fan approved wet dreams, you wish the play had a little more time spent on thinking of the adventure itself and making the Cybermen more of a threat, but this is not enough to make it not enjoyable, in fact it is a must listen for a die hard Who fan, it's just a shame it's flaws will mean it is not as much as a classic as some of the material its elements were culled from.